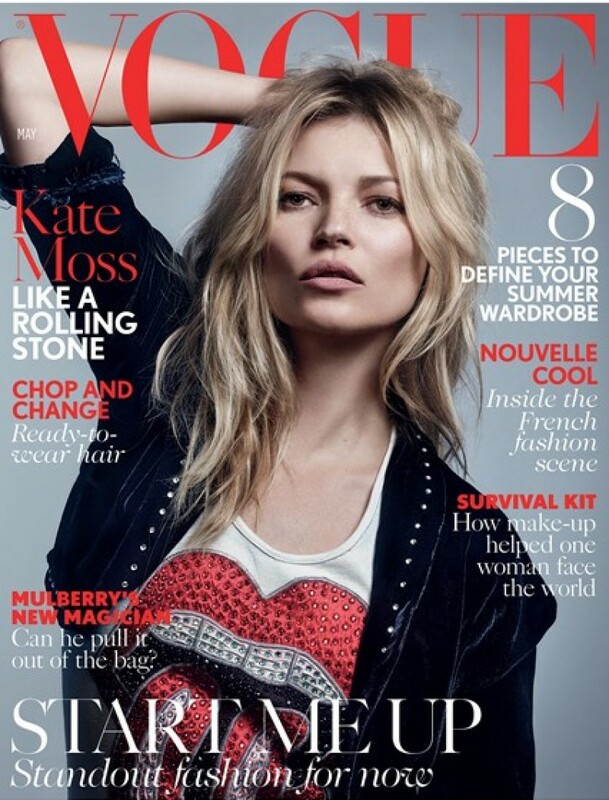 As temperature is rising steadily making the weather tad warmer, Vogue raises the heat by featuring Kate Moss on the cover of May Vogue. The British supermodel stars on the issue that will hit the stands preceding the anticipated centenary issue for June, marking 100 years of the magazine. 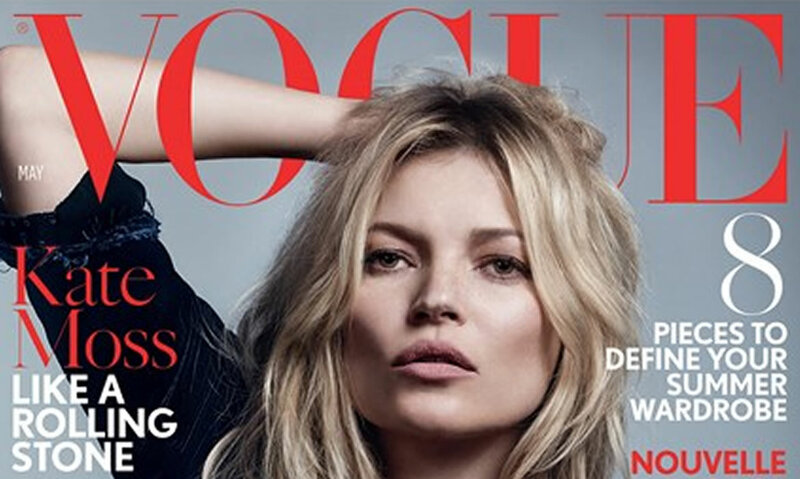 Lensed by Craig McDean, Kate Moss makes a rock-star poster girl for the issue that pays homage to Rolling Stones, celebrating the Exhibitionism at London’s Saatchi Gallery. Another image shows the diva sporting a Union Jack over her shoulders and silver boots strapped up her feet over black socks.